The rails in the platform is the Grand Junction branch. We have wandered off topic. noticed painted lines on the platform/parking lot indicating where underground wiring is this week in Sharon, maybe a sign??? So I'm not sure the platform accessibility has a deadline? A $2.6M construction contract for accessibility upgrades at Sharon is currently underway. The contract includes work at Sharon Platform, Station Building and Parking Lots. Platform work will consist of installing new mini-high platforms with ramps and canopies on both the inbound and outbound platforms. Additionally, walkways around the station building will be re-paved to provide full accessibility to and around the building, and station amenities, including bicycle racks, LED signage and newspaper boxes will be relocated to provide suitable walkway widths. Station building improvements will include addition of a second accessible door, improvements to the bathrooms to make them fully accessible, and modifications to the counter in the concession space. A small section of canopy on the parking lot side of the building will be removed. Parking lot improvements will include new and relocated accessible spaces, new and updated accessible curb ramps, and relocated crosswalks. Anticipated completion of the contract is early February. So what are they planning to do about keeping the station open between October and February? Any updates on this since it passed the October 1st deadline? 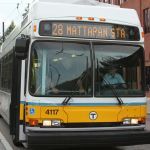 Mbta fan wrote: Any updates on this since it passed the October 1st deadline? Any signs of progress? My google alert hasn't brought me anything lately. Looks like actual construction work being done when I passed by yesterday. I'll try to get a shot on my return trip today. The EGE wrote: Looks like actual construction work being done when I passed by yesterday. I'll try to get a shot on my return trip today.